Mike George picks out his recommendations for secondhand aluminium guns. Bettinsoli are well respected as makers of entry-level guns, and a new Crypto Lite (now known as the Crypto Extra Lux Lite) comes in at just over £1,200. The gun pictured is last year’s model, weighing 6lb 5oz. The gun achieves its light weight by utilising an aluminium alloy action body. For slightly less money you can buy a heavier, steel-actioned version. Many shooters are wary of guns with aluminium alloy actions, thinking the aluminium is soft. Pure aluminium is soft, but introduce other metals into the mix and reinforce the action face to prevent scuffing (aluminium can “pick up” on steel) when the gun is opened and closed, and the criticism becomes invalid. 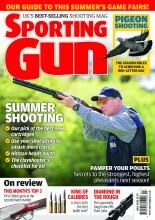 So what’s the gun got going for it other than light weight? It has the advantage of simple, proven mechanical features, with hammers pivoted from the trigger plate and sears hanging from the top strap. 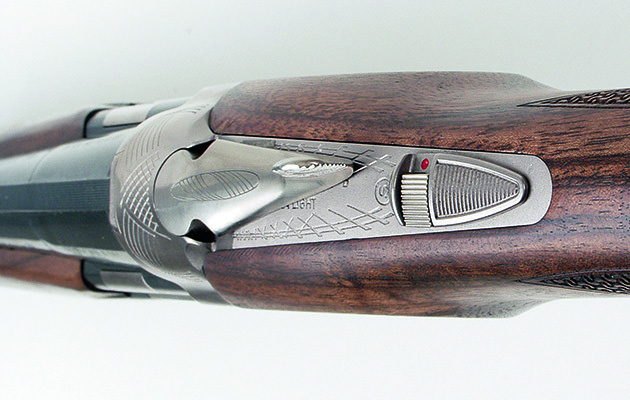 In many ways it is a typical Italian designed gun but one interesting feature is the extra long forcing cones in the chromium lined barrel bores. The gun is a multichoke, with five tubes supplied in a plastic case. The town of Saint-Étienne in eastern central France is one of the world’s famous armaments centres. Its gunsmiths armed the revolutionary French in their fight against the royal families of Europe (including their own) and supplied countless thousands of guns to the armies of Napoleon. Today the town is the home of several makers of sporting arms, among them Verney-Carron. This company makes shotguns of all types, and double rifles, as well as bolt actions. All of their products have a certain French flair, which unfortunately doesn’t always appeal to British sportsmen. The mechanism within the action is unlike anything else, but it works and seems to be reliable. And the bolt is a twopronged component, with the barrel set hinged on stub pins, similar to the principles employed by Beretta. It has to said that the gun is a little unusual in both operating principles and stock dimensions, but then many items made in France are strange by British standards. Anyone who ever drove a Citroën DS21 in the 1960s will know exactly what I mean, and stocks can always be altered. Call importers Garlands of Edingale on 01827 383300, or visit www.garlands.uk.com. The current version, the Ultralight Classic, weighs 6lb 3oz according to the importer’s website, but that could well be for the multichoke version. Personally I would prefer the fixed-choke version, which has a recommended retail price for a new gun of £1,900 against £2,075 for the gun with multichokes. Most gun dealers will undercut these prices. So why do I recommend a target second-hand price of £1,400? Basically because I think this gun is the best of the bunch by a small margin, and if I were buying one I would like a gun in first-class condition. I wouldn’t worry too much about age — most guns will have been bought for walked-up shooting so they won’t have fired huge numbers of cartridges. Like the others, the Ultralight has an aluminium alloy action block, in this case reinforced around the firing pin holes with a titanium insert. Aluminium is less than half the weight of steel, so the Beretta engineers have added to the action’s strength by making it fractionally wider than its steel counterpart. 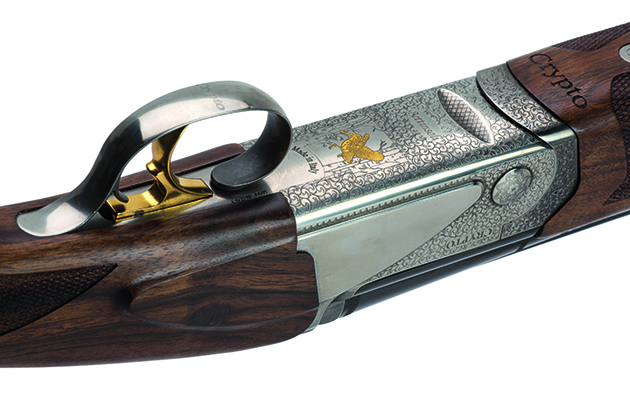 The barrels, sensibly, have 70mm (2¾in) chambers, so Beretta must assume that owners won’t be looking to punish themselves with magnum loads through such a light gun. 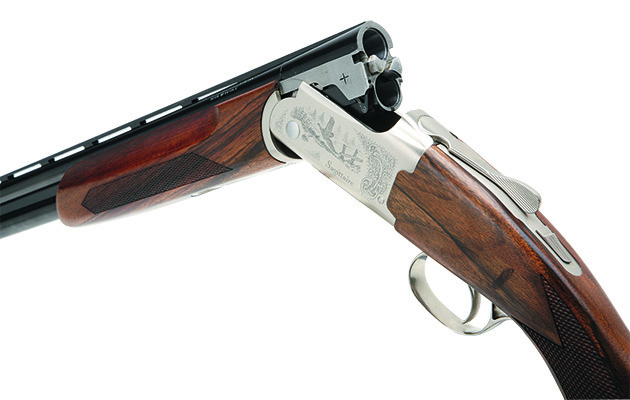 Stock dimensions are typical Beretta, so they should suit the majority of shooters without drastic modification. These points apart, the gun is mechanically similar to the rest of the extensive 600 series, which means the operating principles and materials are time proven and reliable, and, if anything does go wrong, spares are easily available through a long established importer. Call importers GMK of Fareham on 01489 579999, or visit www.gmk.co.uk.